Alan, age 10—You got to find somebody who likes the same stuff. Like, if you like sports, she should like it that you like sports, and she should keep the chips and dip coming. Kirsten, age 10—No person really decides before they grow up who they’re going to marry. God decides for you, and then you get to find out later who you’re stuck with. Camille, age 10—Twenty-three is the best age because you know the person FOREVER by then. 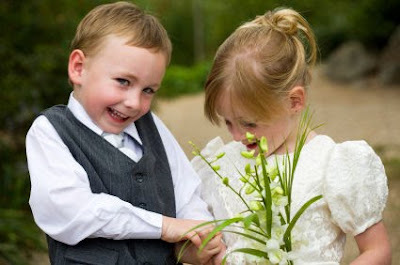 Freddie, age 6—No age is good to get married at. You got to be a fool to get married. Sally, age 9—If they look mad at each other, they are probably married. Billy age 7—They both want me to go to bed at 8 o’clock so mommy doesn’t get a headache. Curt, age 7—The law says you have to be eighteen, so I wouldn’t want to mess with that. Howard, age 8—The rule goes like this: If you kiss someone, then you should marry them and have kids with them. It’s the right thing to do. Anita, age 9—It’s better for girls to be single but not for boys. Boys need someone to clean up after them. David, age 7— If you like each other then it is better to be married especially if you want to kiss her. Lynnette, age 8- Dates are for having fun, and people should use them to get to know each other. Even boys have something to say if you listen long enough. Martin, age 10- On the first date, they just tell each other lies and that usually gets them interested enough to go for a second date. Craig, age 9- I'd run home and play dead. The next day I would call all the newspapers and make sure they wrote about me in all the dead columns. Ricky, age 10- Tell your wife that she looks pretty, even if she looks like a truck.